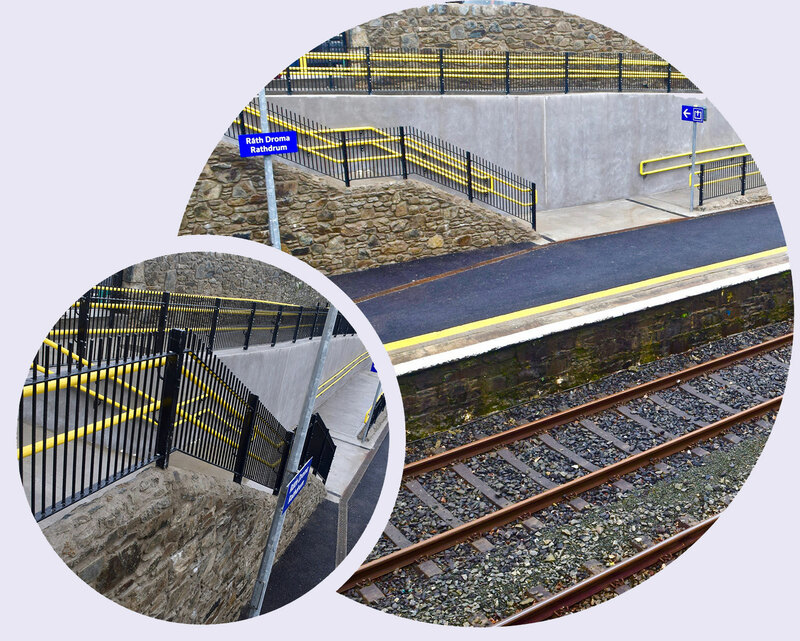 Rail infrastructure contractor Global Rail Services was awarded accessibility works at three railway stations on behalf of Irish Rail in August 2016. Customers at Rathdrum, Mullinger and Leixlip Louisa Bridge Stations are now benefiting from Global Rail Services’ extensive experience in delivering construction solutions that enhance and improve their passenger experience. The project was successfully completed, with key project milestones being met and a high quality end product to match, with Global Rail Services effectively managing and delivering the full suite of stakeholder expectations. 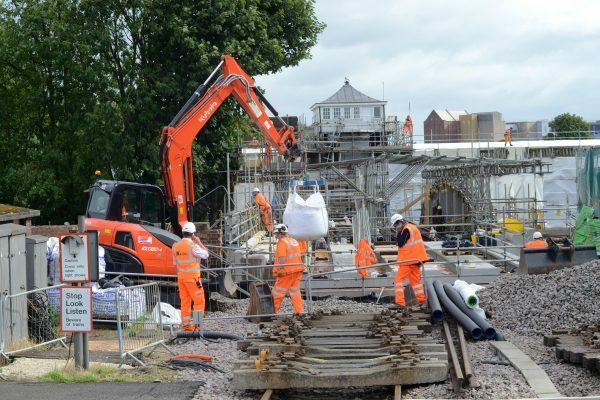 The works include complex in-situ civil engineering works, temporary works, roads and pavings, as well as rail engineering activities in respect of upgrading station platforms and railway pedestrian access. 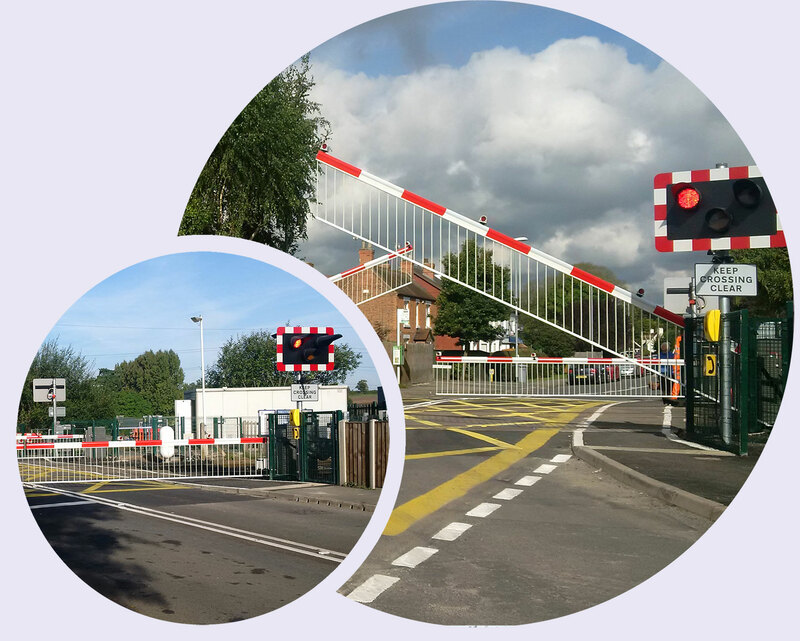 Global Rail Services also used its full infrastructure contracting experience to manage and deliver the interface between the highway and railway authorities. The works were completed in a phased manner, with a final completion date of February 2017. 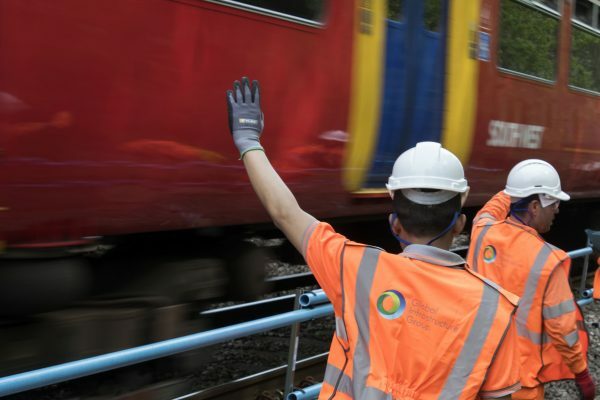 To ensure that each milestone was achieved, Global Rail Services prepared detailed programmes and schedules and provided a dedicated and co-ordinated approach to project management throughout the works. Liaison with a myriad of stakeholders, along with a collaborative approach to these works, has paved the way for a professional delivery that has met and exceeded expectations. Procurement of long lead items and contract approvals has formed an integral part of the project success. 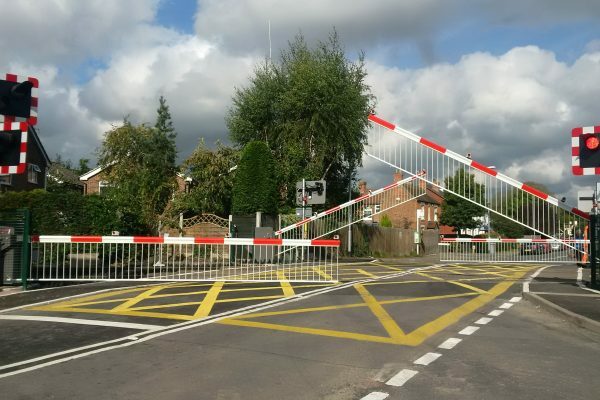 Global Rail Services has used its rail engineering experience to deliver a fully managed multi-disciplinary rail project to the delight of the client. 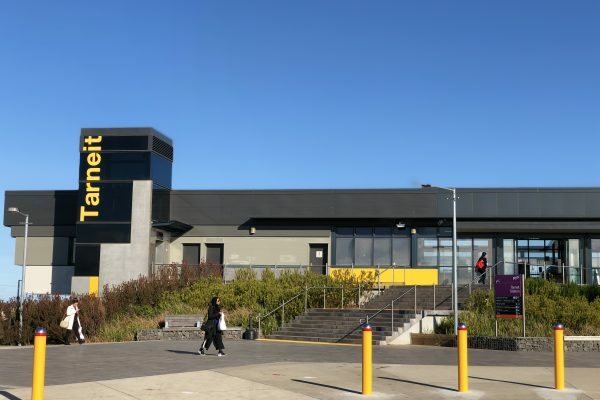 Global Rail Australia successfully secured by competitive tender the design and construction of platform upgrade works at both Wangaratta and Benalla stations by V/ Line – the government-owned corporation that operates the regional passenger train and coach services in Victoria, Australia. 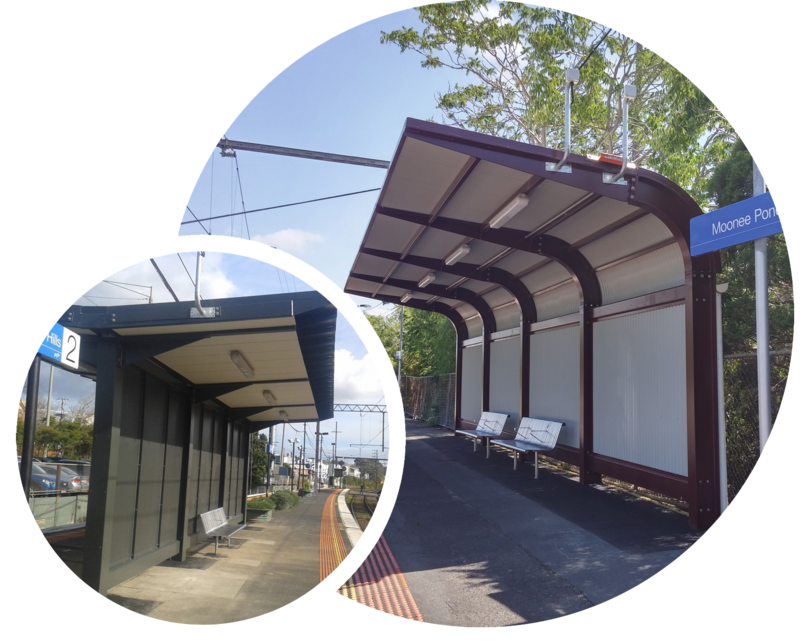 Offering an innovative design solution for the works, Global Rail Australia’s proposal, provided V/Line with a cost effective multi-disciplinary solution and a fully managed service that both minimized disruption and reduced the requirement for operational interface at each station. 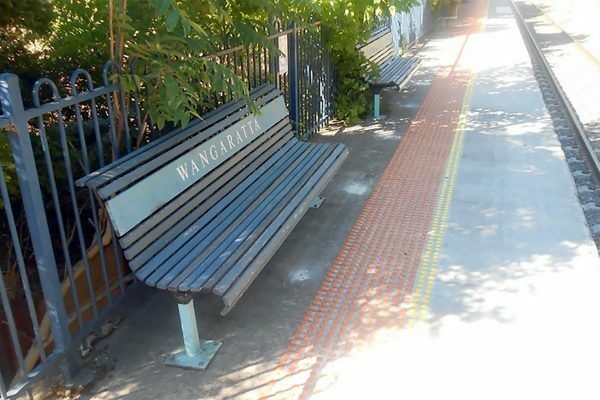 This project to upgrade redundant platforms at Wangaratta and Benalla Stations, was necessitated by the increase in freight and passenger services and allowed these stations to be brought fully back into service. 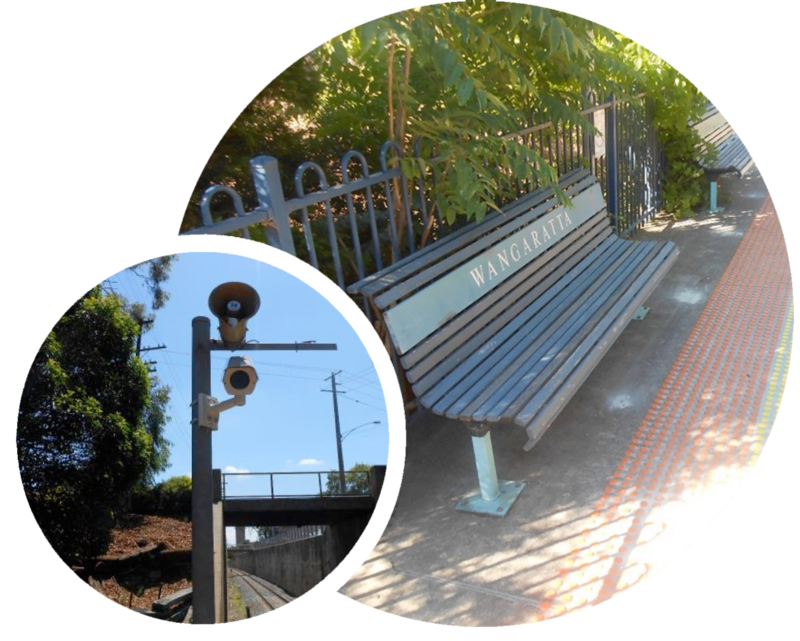 The scope of the works which included tactile tile installation, augmentation of the existing CCTV and PA systems and associated access works at Wangaratta – including the upgrade of the platform ramp, adjacent landscaping, removal of sleepers, new signage and application of a non-slip coating – allowed Global Rail Australia to supply the full breadth of its in-house services across, M&E, civil engineering and general construction. 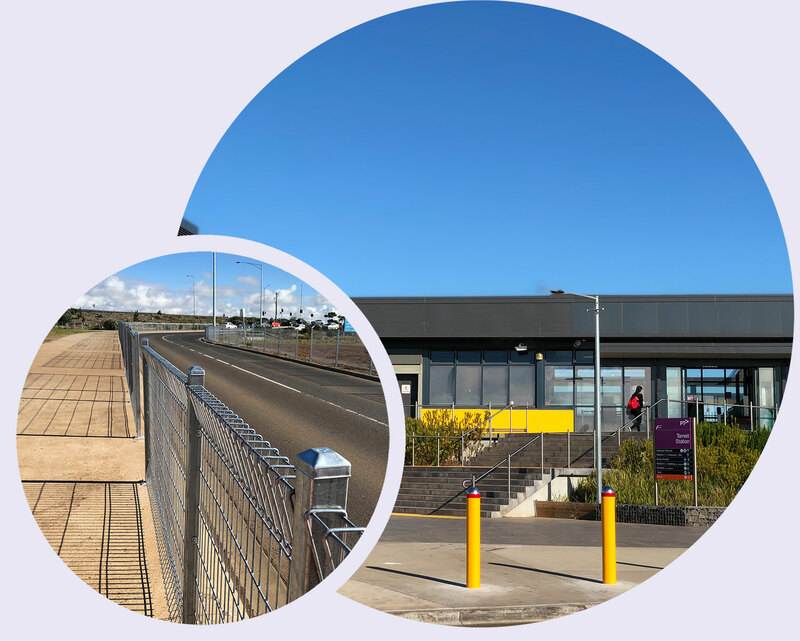 Operating in a live railway environment, Global Rail Australia – having worked on numerous railway projects – worked under the supervision of a Track Force Co-ordinator and Look-outs throughout the extent of the works. Global Rail Services secured a four-year framework with Irish Rail to provide maintenance and renewal, of the mechanical and electrical systems and services at 400No railway stations throughout Ireland. Having submitted a most compelling tender, Global Rail Services, have delivered, tested and commissioned over €2.6m of mechanical and electrical works to date. The works, which include both planned and un-planned maintenance and renewal, also relied upon Global Rail Services registration with an authorised Electrical Safety Supervisory Body (ESSB) and their registration and compliance with both The Energy Act 2006 and the Commission of Energy Regulation (CER). Specification for Mechanical Installations 10/SP-005 and service all existing gas filled air cooling systems as per BS-EN 15240 – Air Conditioning Systems. 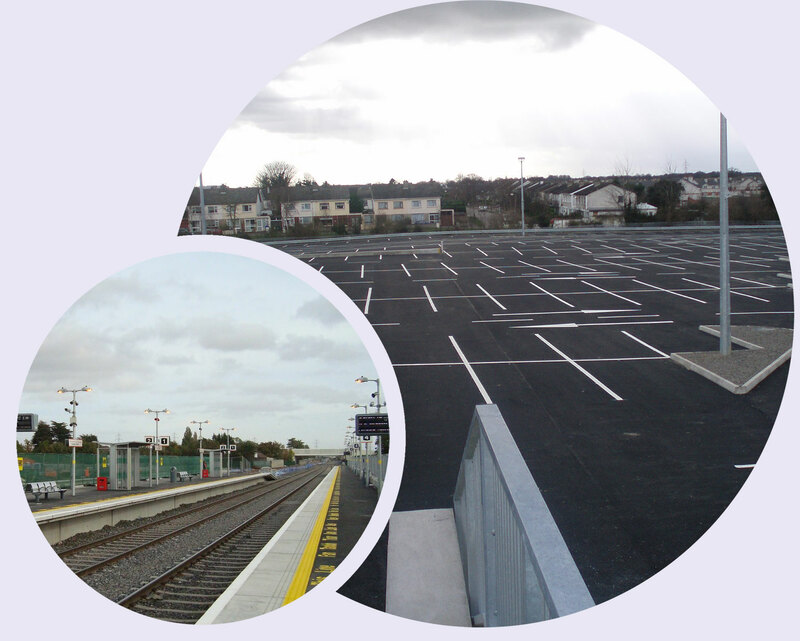 By appointing Global Rail Services in the roles of Project Supervisor Design Process (PSDP) and Project Supervisor Construction Stage (PSCS), Irish Rail were able to ensure that the works would be managed in full compliance with the Safety, Health and Welfare at Work (Construction) Regulations 2006. 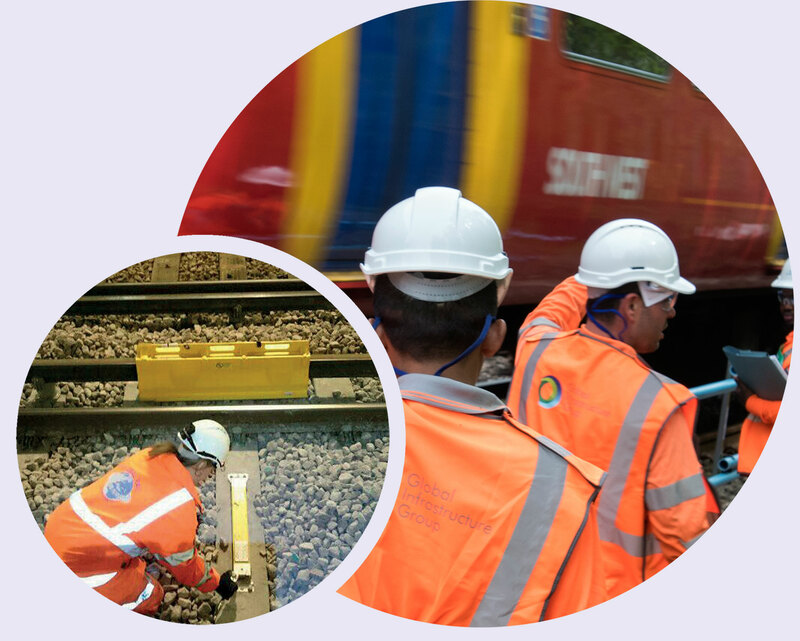 A vastly experienced in-house mechanical and electrical engineering team, has allowed Global Rail Services to provide resources to fulfil these roles and deliver an emergency call-out service which meets the two-hour response window. 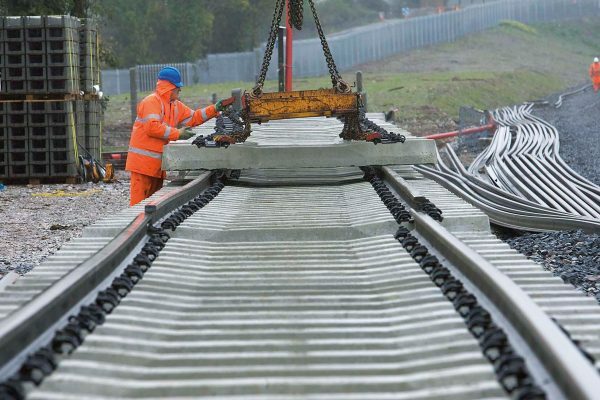 Having commenced their first framework for Irish Rail back in 2006, Global Rail Services are now working on their third consecutive four-year railway agreement for both the construction of station cark parks and platforms. As one of eight current preferred contractors, Global Rail Services have maintained high levels of customer satisfaction for their performance, consistently delivering a high quality service and as a result have been awarded works in excess of €15m to date. 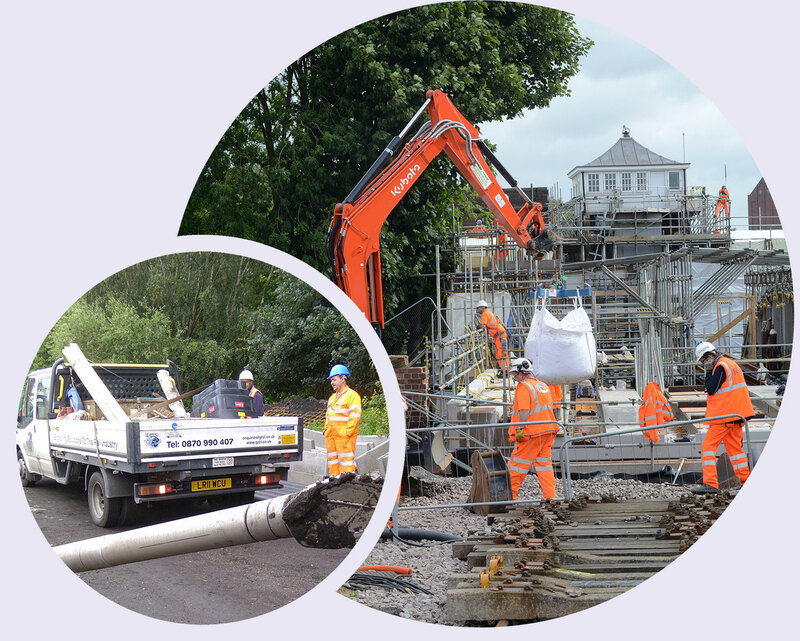 Civil Engineering is at the core of Global Rail Services’ offering. 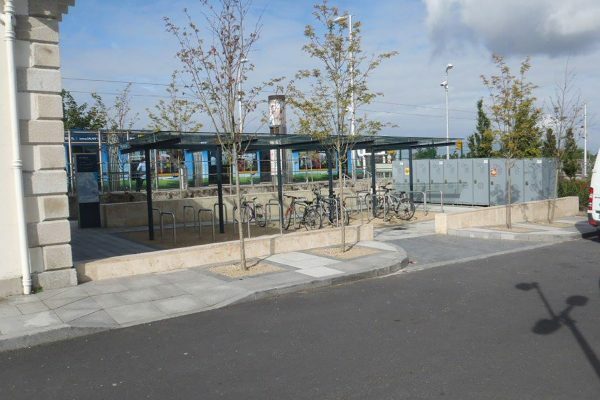 The company have constructed new station car park & Platforms facilities and built and upgraded many station new platforms to both increase capacity, and to comply with the Disability Discrimination Act (DDA), across mainline and metropolitan stations throughout Ireland. 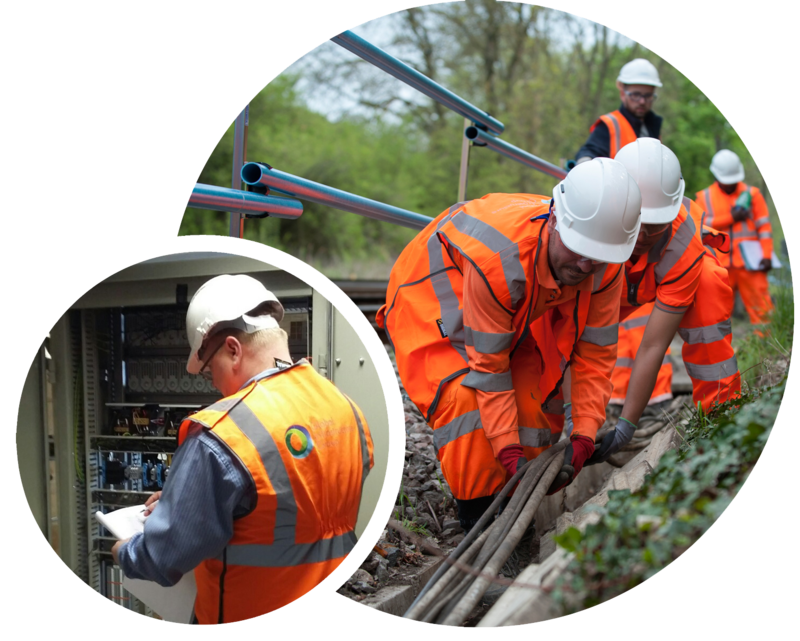 These works also encompass electrical, mechanical, CCTV and telecommunications installations and upgrades, where Global Rail Services are able to call upon their in house M&E department to provide the necessary engineering and delivery support. It is this turnkey solution that has enabled Global Rail Services to provide comprehensive project solutions – providing Irish Rail with contract surety. 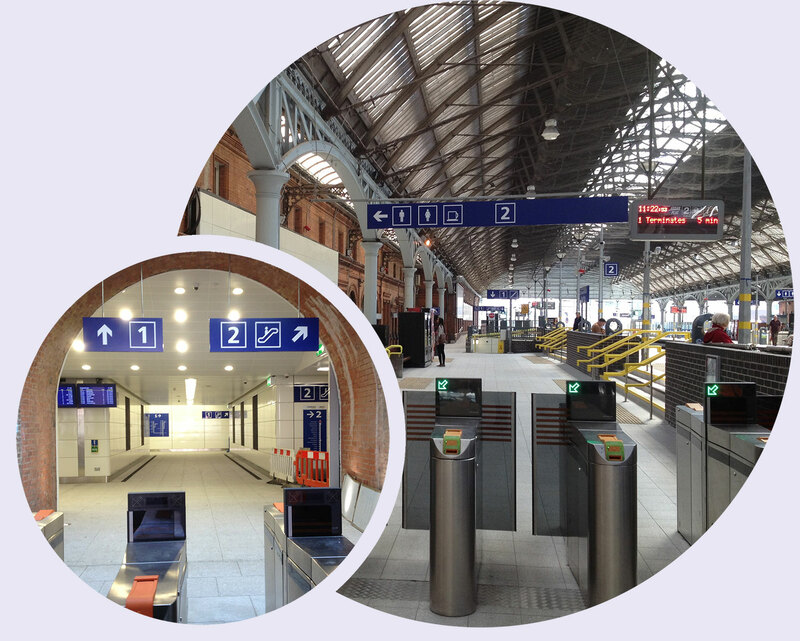 The works formed a fundamental part of the Irish Rail’s programme to improve passenger experience and increase capacity, at both mainline and metropolitan railway stations throughout Ireland. 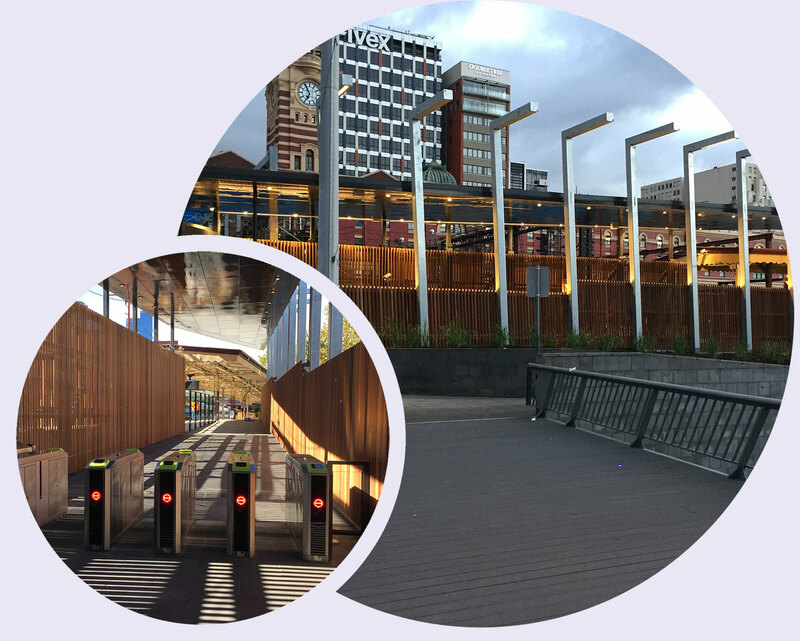 The scope for the car parks involved the complexities of working adjacent to a live railway station and required professional community engagement to ensure that patrons and stakeholders were fully informed before and during the works. The platform works involved close liaison with Irish Rail’s railway systems signalling team and also their track infrastructure engineers. Although, Global Rail Services undertook any associated track modifications as part of another framework with Irish Rail for Permanent Way. 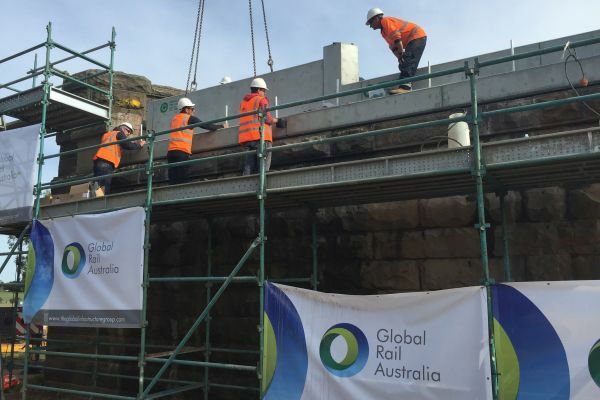 Global Rail Australia secured via competitive tender the contract on behalf of regional train operator V-Line in 2016, to provide a full turnkey civil and structural engineering service, for the fabrication and installation of a new bridge superstructure in Victoria. The existing Railway Bridge, sits on the Ballarat passenger service line at O’Connor, serving the regional districts of Victoria. 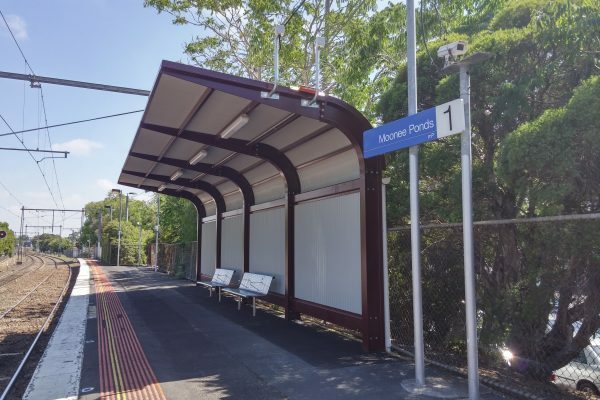 V-Line as part of a large programme of rail upgrades, selected Global Rail Australia as the preferred contractor to replace the life expired wrought iron and timber structure with a newly fabricated concrete superstructure. The works required careful planning and involved detailed surveys, production of detailed shop drawings for the new deck and walls, pre-installation testing of the fabricated concrete sections and the replacement of the bridge during a three-day occupation of the railway line. Scaffolding was erected on O’Connor Road adjacent to the bridge abutments and during the railway closure, the existing tracks were lifted out and the rail ballast removed, to facilitate the removal of the old structure. 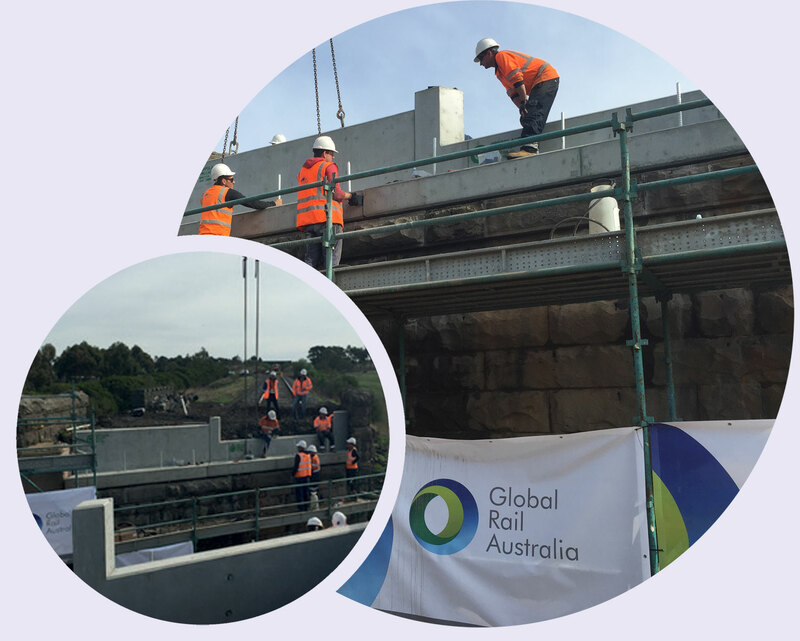 The new bridge deck and walls were then lifted with a 100 tonne crane – fully facilitated on site by the Global Rail Australia’s specialist civil and structural engineering crew. These were then carefully lowered into position, where Global’s site engineering team could fix them into their correct positions. Due to the railway closure alternative bus services were laid on to enable passengers affected by the closure to travel around the works. Works were completed on time and the project was handed back on 22nd May 2016. 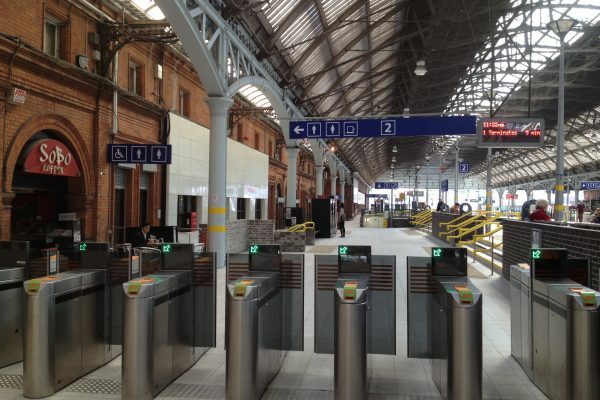 Currently working on their third consecutive prestigious four-year railway framework for building works, Global Rail Services Limited (GRSL) were awarded a contract to completely refurbish a historical listed building at Dundrum Station. The specialist building framework which was let by the organisation that maintains Irish Railways – Transport Infrastructure Ireland (TII) – was won by Global Rail Services following competitive tender giving TII the mechanism to let individual packages of works to their preferred contractors of up-to €1m. 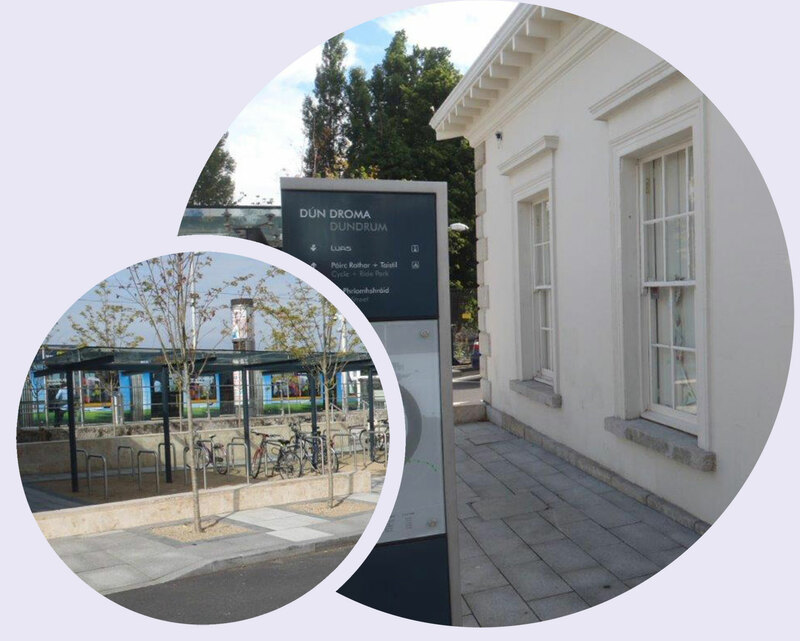 Having successfully delivered many contracts throughout the framework, TII selected Global Rail Services as their partner of choice for the sympathetic refurbishment of a listed heritage structure known as ‘Dundrum Station House’ and demolition of an adjacent two storey derelict structures parallel to the existing live Dundrum LUAS stop. The completely derelict building – which had been subject to intense vandalism – was to be carefully re-built and restored to its former glory and converted into a café and two offices. Works included structural alterations and repairs to the building, brickwork restoration, full heritage internal refurbishment works and the provision of new mechanical and electrical installations throughout – all in accordance with exacting conservation standards. 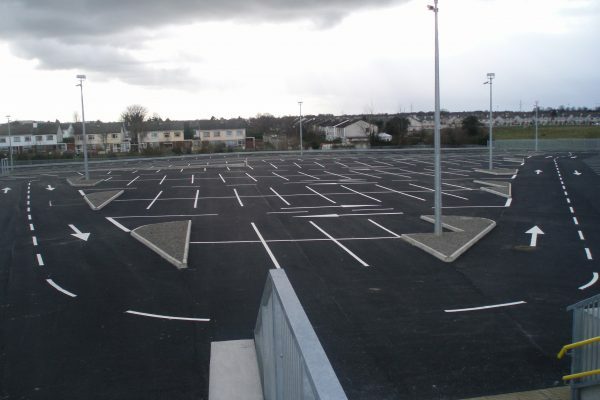 The scope of works also extended to transforming the surrounding areas by demolishing an adjacent dilapidated industrial unit to form a new car park including cycle storage, providing external lighting, CCTV and external landscaping. 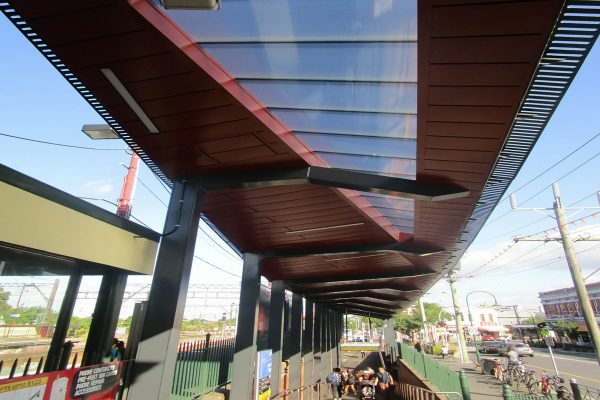 The works formed a fundamental part of the TII’s programme to improve passenger experience at metropolitan railway stations by refurbishing commercial buildings and structures in and around them. The scope involved the complexities of working adjacent to a live railway environment, materials management and site logistics, all whilst delivering works to an exacting heritage specification. GRSL have an experienced project management team and held weekly site progress meetings to ensure works were being delivered to the required standard. 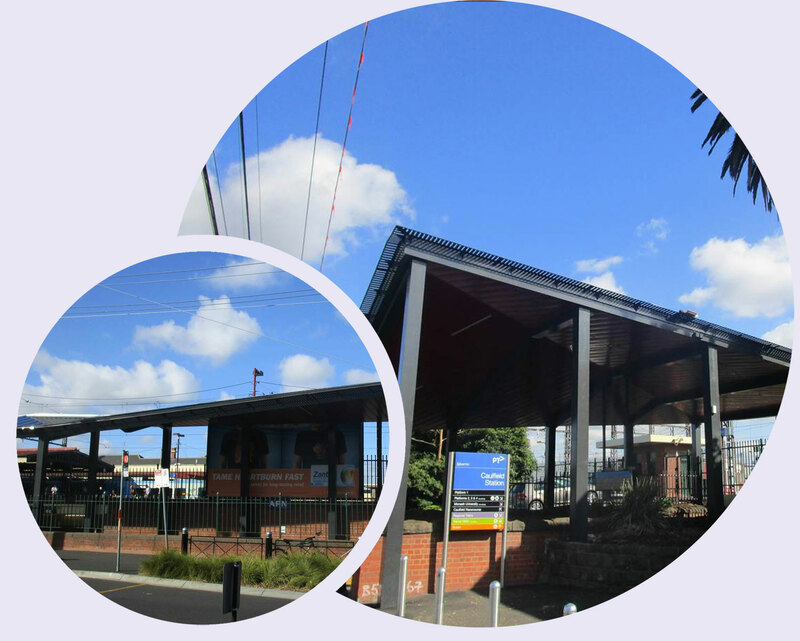 Having a multi-disciplinary in-workforce including Building, Civil and Structural Engineering, M&E and General Construction along with in-house site management, allowed Global Rail Services Ltd to provide a compelling solution, deliver to program and produce a lasting legacy for the building and the surrounding area. 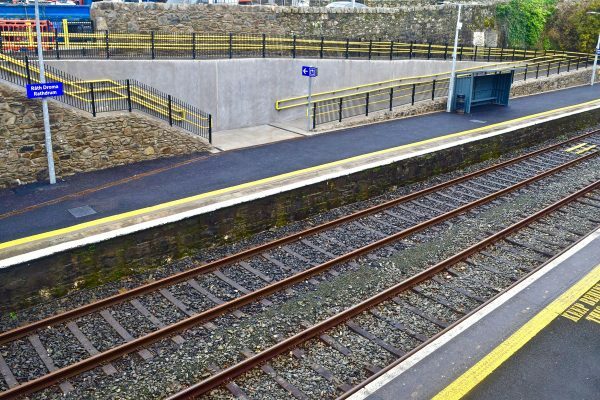 Global Rail Services provided a most compelling offer to Irish Rail and were awarded a €1.1m track renewal contract, to remove and replace 1km of railway track on both the Up and Down lines between Tara St and Connolly Station. The works were to be completed during restricted working hours – 24/7 possession working – commencing on St Stephens’s day and for 14 consecutive days thereafter throughout the Christmas period. Having a vastly experienced project engineering team, enabled Global Rail Services to put together a fully planned and detailed methodology to deliver a huge volume of critical infrastructure works, which formed part of Irish Rail’s railway upgrade programme. 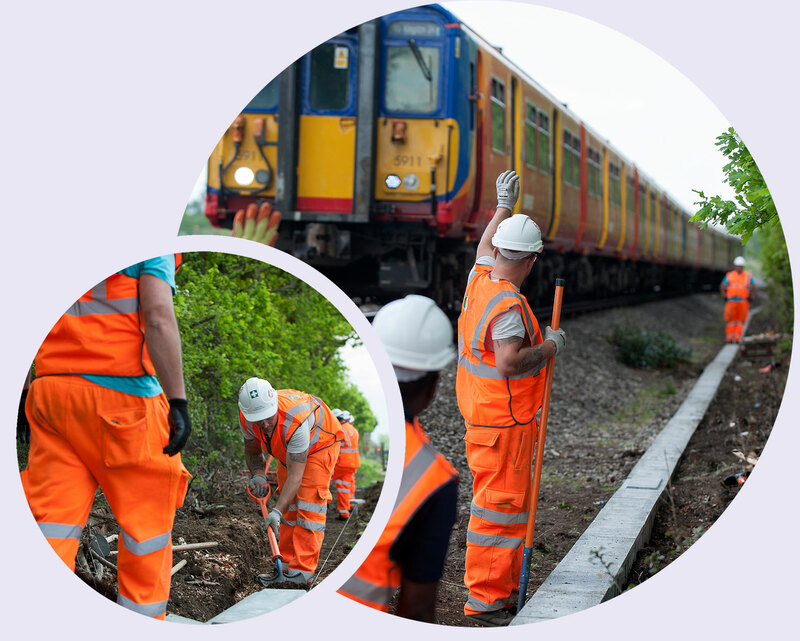 With access over ¾ of a mile away from the site and the works limited to a single line for both removal of the old and delivery of the new track materials, Global Rail Services meticulously prepared a detailed hour-by-hour programme for all activities. This included full contingency provision. With this is mind, early stage preparation works were undertaken to build the track panels in readiness for the works. A bill of materials was also prepared, so that all materials could be delivered, quality checked and stacked ready for the Christmas shutdown. The works also involved the re-alignment of a bridged line over the centre of Dublin, which required advance notices and planning and also the replacement of curved check rails. Having a strong in-house capability of 60 track staff provided Irish Rail with the confidence that Global Rail Services were the partner of choice and this proved to be a wise decision. 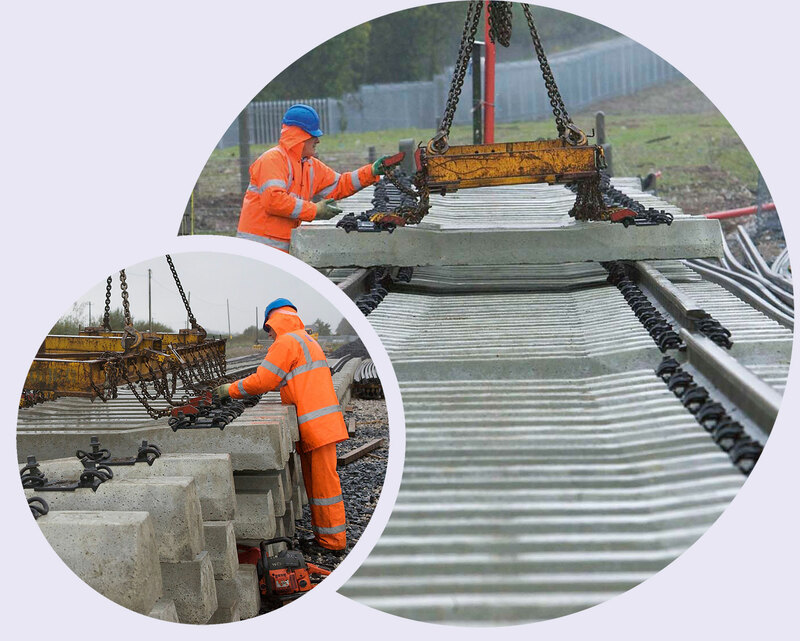 With strong supply chain partnership with their plant and machinery providers, Global Rail Services provided full project surety, enabling the works to be handed over defect free, on time and to the required budget. 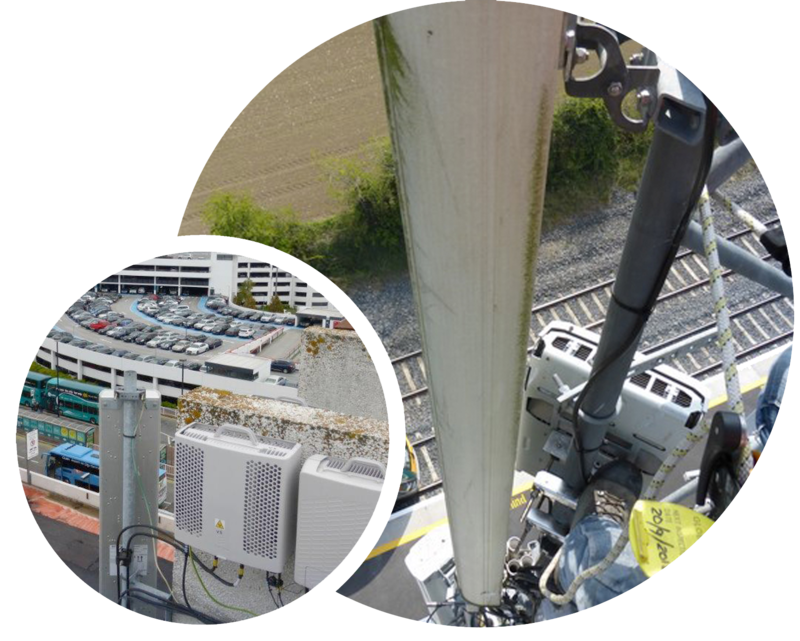 GRA Networks were selected by global telecoms and software giant Huawei in June 2013, as a result of their compelling offering to provide a fully project managed telecoms service, creating a delivery solution for the installation of new telecoms equipment throughout Victoria. 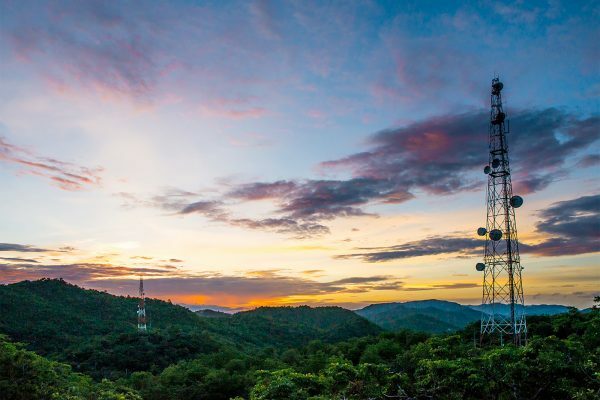 The initial engagement by Huawei – who are the largest telecommunications manufacturer in the world, employing 170,000 people – was for the Apollo Project on behalf of Optus, one of the largest telecommunications providers in Australia. This Apollo Project involved the upgrade of 3G and 4G sites in Victoria. 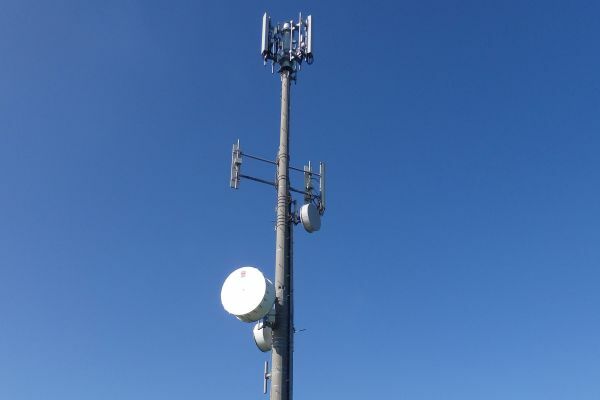 The work involved the installation of 3G and 4G RRU’s on towers and structures in addition to the upgrade the existing BTS equipment in the shelters. To date GRA Networks have completed upgrades to over 550 sites under the Apollo Project. 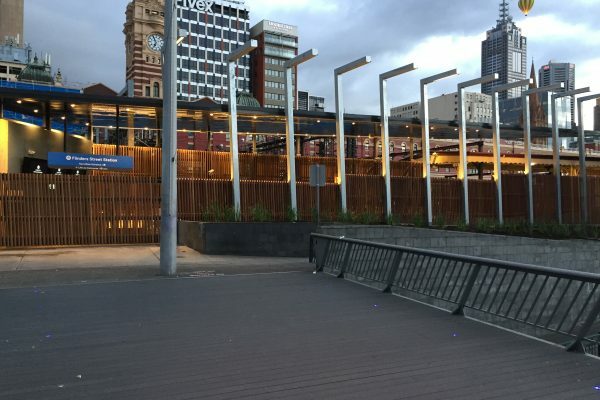 Since then, as a result of their impressive offering – which provided an efficient end-to-end solution – GRA Networks have been engaged on a number of other frameworks with Huawei and to date have completed work on over 1,500 sites in both Victoria and Tasmania. Building on this success, GRA Networks have recently been awarded a number of Greenfield Projects. 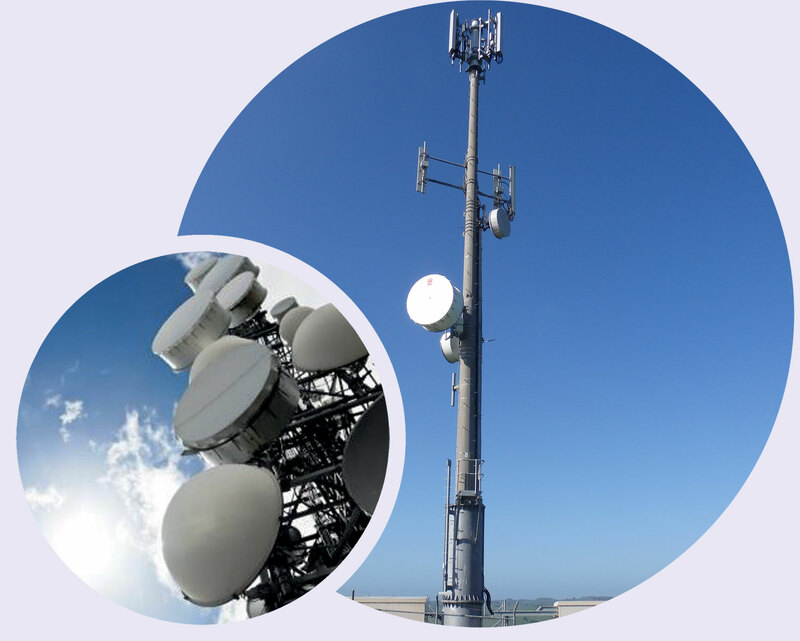 Typical greenfield sites involve the construction of new telecoms compound and Installation of a new monopole and foundations, Installation and connection of new power supply, Installation and fit-out of a new telecoms cabin; Installation of a new headframe and associated telecoms equipment including Installation of 10/12 port antenna systems, RRU’s, TMA’s, Feeder’s and Trunk Fibre’s. GRA Networks are also responsible for the commissioning and integration of the sites on completion. GRA are also working with Huawei on the IBC rollout programme and have been appointed to carry out design surveys as part of this programme. 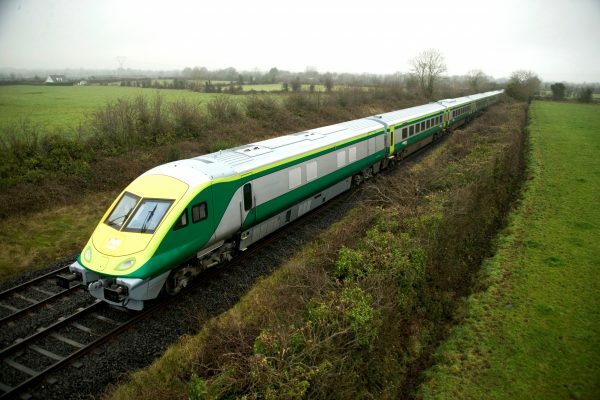 Irish Rail having purchased a further fleet of 57 Intercity railcars (ICR) formed up by 19 x 3 car sets, which were identical to their existing operational fleet of 177 Class 22000 railcars, sought a partner to modify, test and commission the units for continued and effective service. The fleet, which was manufactured in South Korea by Hyundai Rotem, was shipped to Ireland in batches. Having competitively tendered for the works, Global Rail Services were selected as the contractor of choice to undertake all modification and warranty work, inclusive of testing, commissioning and shakedown running, providing a 24-month warranty for their service. 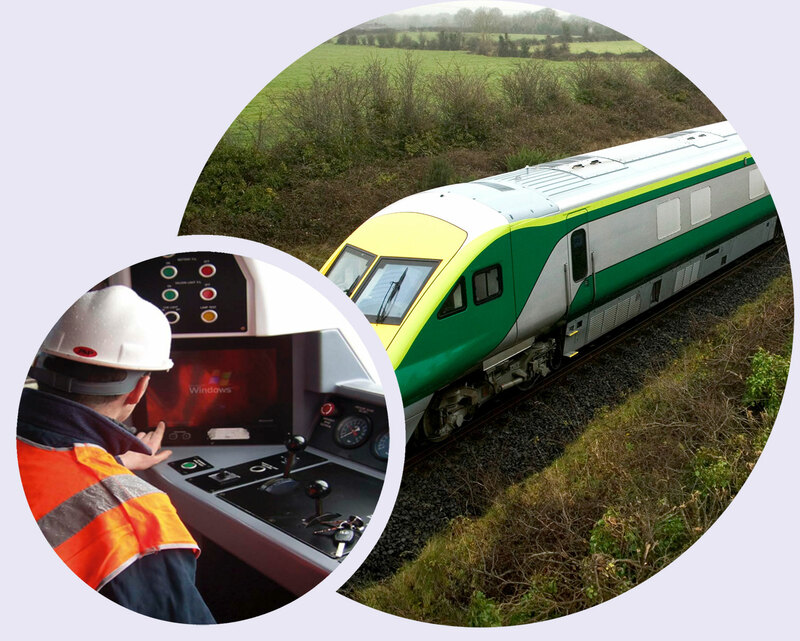 The Works are necessary for the continuous improvement, upkeep, continued reliability and safe operation of these cars, which are currently being used in Irish Rail’s passenger service operations.